Johnny Arthur Giavotella was born on July 10th, 1987 in Metairie Louisiana. He attended Jesuit High School in New Orleans, the same school that former star Rusty Staub attended. Twelve major league players have come out of Jesuit High. The five foot eight right hand hitting second baseman was never given his chance due to his small size. He believed in himself & worked hard to get to the major leagues. He credits his hard working Italian / American family for giving him the strong dork ethic. He helped out in his Aunts Restaurant; Gio's Pizza & Spaghetti House, attended school, played baseball & football as well. In 2008 he was a second round draft pick for the Kansas City Royals. 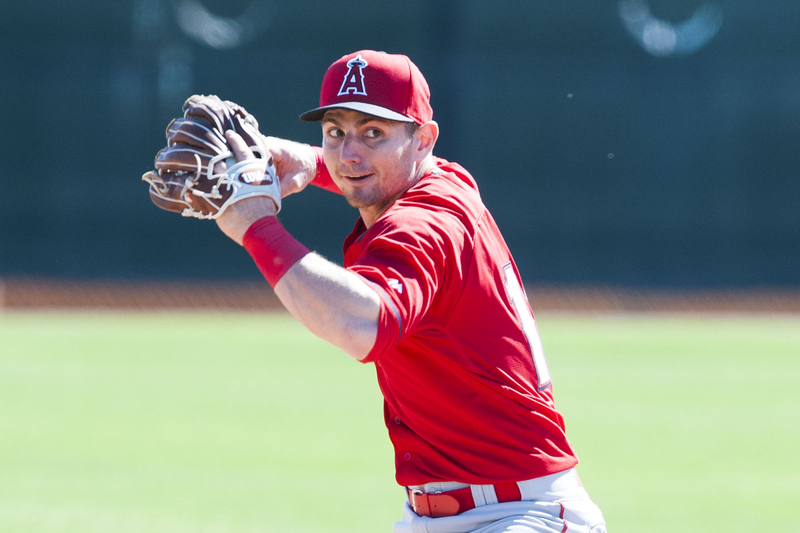 By 2011 he was playing at the AAA level batting .338 at Omaha in the Pacific Coast League. He would bat over .32o in three straight minor league seasons. He made his MLB debut on August 8th in a 4-3 loss at Royals Stadium to the Detroit Tigers. In his second career at bat he doubled & then later had his first RBI single in the 7th inning. Two games later he hit his first career HR, a 5th inning shot that ended up being the difference in the 4-3 win. Quotes: "It does feel surreal. This weekend has been almost magical," he commented at the end of the three-game series. He fell off from the hot start & batted .247 with 2 HRs 9 doubles 4 triples (third best on the club) & 21 RBIs. He also runs well & stole five bases in seven attempts. 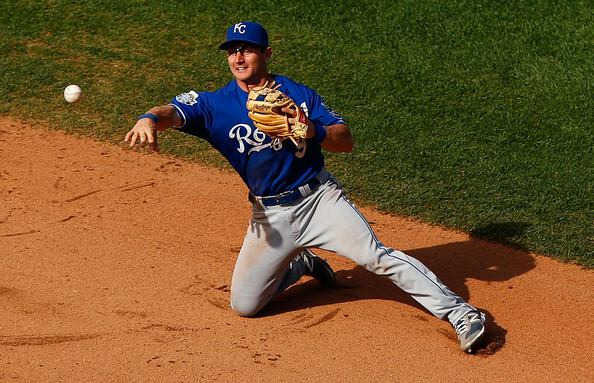 In 2012 he got to the Royals in early May, but after hitting just .17 was sent back to Omaha for two more months. He returned in August & finished the year in K.C. batting just .238 with one HR seven doubles & 15 RBIs. In 2013 he began the year back at AAA Omaha hitting .280 through late June & was brought up for 14 games at the end of the season. In 2014, he played in 12 games for the AL Champion Kansas City Royals batting .216. 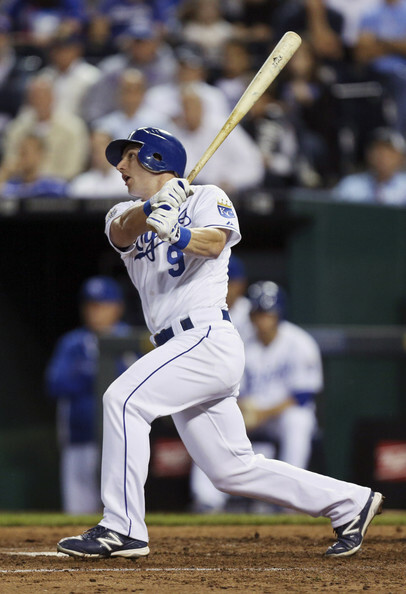 On May 11th he hit a three run HR helping the Royals to a 9-7 win at Seattle. That December he was traded to the Los Angeles Angels of Anaheim for Brian Broderick. 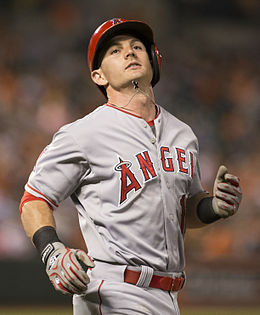 Giavotella became the Angels main second baseman on the season batting .280 towards mid June.